There’s a new game genre out there. Part simulation, part social game, part physical challenge, escape rooms are really popular. You wander through a scenario, stuff happens, and you have to try to figure your way out in a certain amount of time. I’ve done similar things, but I haven’t done a full-fledged escape room yet, though I’m interested. They have a lot of the usual horror themes: zombies, killers, monsters, and the Holocaust? 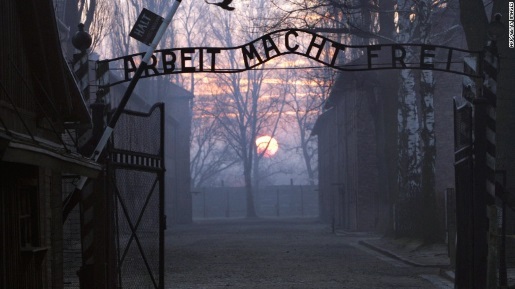 A company in the Czech Republic announced and retracted a Holocaust-themed escape room. The room was called ‘Escape from Auschwitz,” and while game company Dostan Se Ven says that their game was respectful and researched about the real problems of Auschwitz, the Auschwitz memorial and many other groups have protested. In particular, having a deal on the “Escape” game on International Holocaust Memorial Day. No matter how respectful and well-researched, something like that won’t be taken well. After all, WW2-era weapons kill people to this very day. “A game that preys on the suffering of millions of people for commercial gain, reflects on not only the bad taste of the authors, but also on their cynicism and their unawareness of the history,” said Petr Papousek, the president of the Federation of Jewish Communities in Prague.